Tiny Tot Interiors™ creates custom Kids' Room Design Boards for just $24.99. 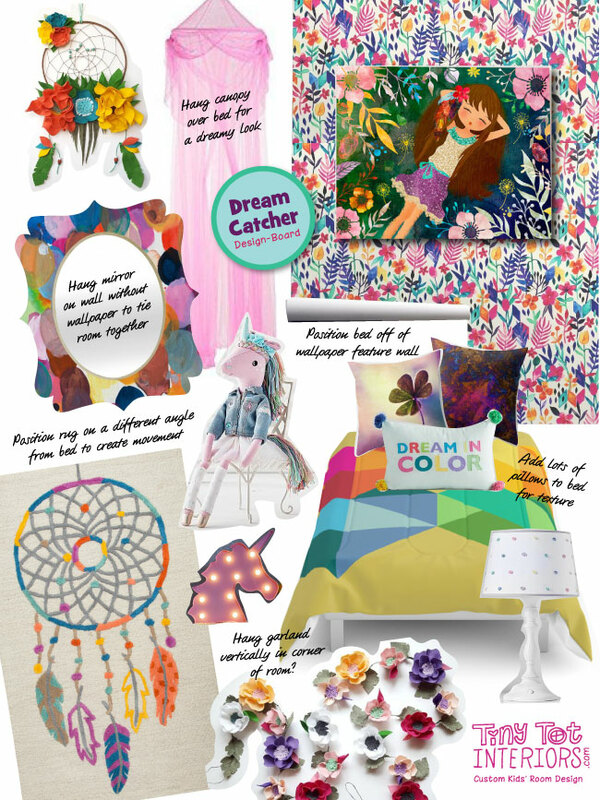 Our Design Boards make decorating kids rooms fun, fast & easy! They aide in the interior design of your child's room by providing a visual creative guide. To order a Design Board, just fill out our short order form and we'll custom-design a space your child is sure to love! We design kids rooms, nurseries, bathrooms, playrooms, etc. a complete product list, clever ideas, color palette and creative direction. Design Boards are delivered via email as pdf files. Don't just settle for the mass-market style kids rooms we see lining the shelves at Target, Walmart, etc. Custom order something that is beyond imagination. We believe that a child's room should be completely "magical" and as unique as they are. - After all, this is where they Play. Create. Imagine. Dream.